What happened to the angels that rebelled and were cast down from Heaven? It is evident that they were imprisoned in earth’s vicinity; their former galactic freedom taken from them. From henceforth, they must share life space with God’s earthly creation. Do they continue their rebellion toward God and His plan for earth and its creatures? Has Satan, their deposed leader, conspired with his hierarchy to follow an eons long campaign of evil? 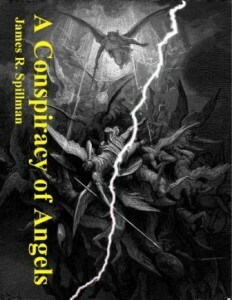 We can say with reasonable confidence that there has never been a book on the subject of angels like A Conspiracy of Angels.